I’m so happy I finally looked ahead at the date for a change so I could do a holiday pin-up (for those of you who are new, once I started my Patreon, I started drawing the strips a week early & scheduling the posts – so this post is going live on the 25th, but I wrote it earlier, mwa ha ha – which means sometimes I miss Holiday Pin Ups because I finished the regular strip before realizing it would go live on a holiday). 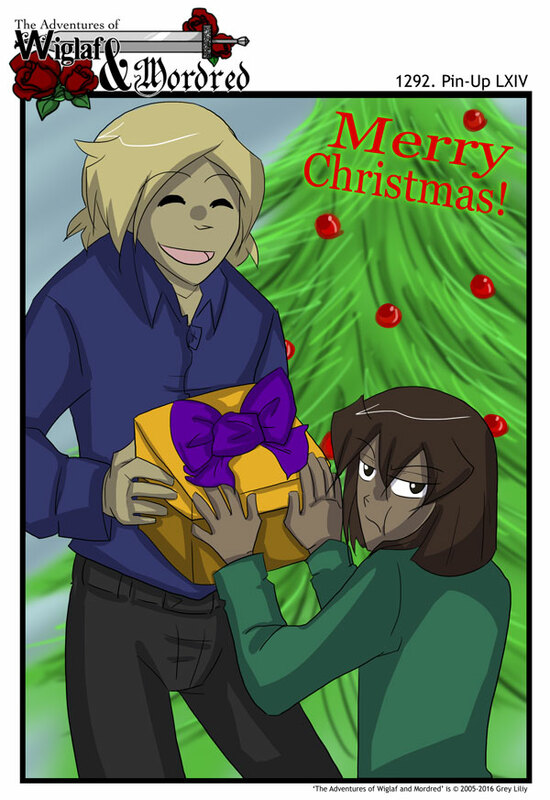 All that rambling aside, I hope you all have a MERRY CHRISTMAS and a wonderful Holiday Season! !